RiverRocks, one of the most anticipated events of the year for outdoor enthusiasts, is rolling out a new format as an Adventure Sports Games event and will be held Oct. 2-13 in downtown Chattanooga. Individuals, including some of the nation’s most elite athletes, will compete in what has become the fall’s premiere adventure sports competition. In addition to the 10 sports games, RiverRocks will feature a number of entertainment events including the opening ceremonies on Oct. 2 at Center Park, Over the Edge, an urban rappelling fund-raiser, Oct. 3 at Center Park and the 3 Sisters Bluegrass Festival Oct. 4-5 at Ross’ Landing. The RiverRocks Adventure Games will conclude on Oct. 12 with closing ceremonies including a preview of The Block, a new urban outdoor climbing wall, 30,000 square foot climbing facility and shops located in the heart of downtown. Under the new format, the RiverRocks Adventure Games will feature a wide range of competitive outdoor sports games including a rock/creek stump jump 50K and 11 mile trail race; the Sequatchie Valley Century; a canoe/kayak race; the Chattanooga Head Race; the Triple Crown of Bouldering; the Five Points Fifty; a 10-mile swim; the Urban Nature 10K; the Duathalon; the ChattaJack and much more. The winners of these events will receive medals featuring actual river rocks made by Set In Stone. The public can add their own twist to the fun of RiverRocks by creating a new outdoor adventure game or event. RiverRocks will be making a call for community events in the coming weeks. For more information on events and activities, visit www.RiverRocksChattanooga.com. 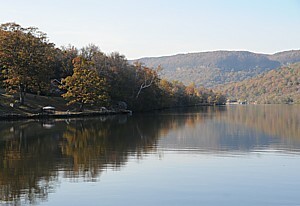 To find your next vacation sweet spot explore tnvacation.com.